Sun Basket and Home Chef are currently at the very top of the meal kit delivery market and picking one over the other hinges on tiny details and hard-to-spot nuances in your personal preferences. Having said that, our detailed Sun Basket vs. Home Chef comparison explores all the relevant features of both companies in an effort to help you make your final decision as easy as possible. Sun Basket offers 2 weekly menus and 11 meal plans designed for different dietary preferences and lifestyles. You can choose your meals from the Classic menu or the Family menu. The plans at your disposal include the Mediterranean, Vegetarian, Pescatarian, Vegan, Paleo, Gluten-Free, Lean & Clean, Diabetic-Friendly, Carb-Conscious, Quick & Easy, and Chef’s Choice plans. Home Chef does not offer specialized meal plans. Instead, it asks its customers to state which ingredients they do not or cannot eat and offers recipe recommendations based on the stated preferences. Both vegetarian and omnivore recipes are available. Sun Basket offers 18 fresh meal ideas every week, plus add-ons such as 5-minute salads, sauces, dips, and veggie snacks. With the Classic menu, you can choose 2, 3 or 4 out of 18 recipes and as many add-ons as you want and cook for 2 or 4 people. With the Family menu, you can choose 2, 3 or 4 out of 6 recipes and cook for a family of 4. Home Chef offers 16 new recipes every week, along with 2 lovely add-ons, including a smoothie and a fruit basket. You can order 2, 3, 4, 5 or 6 recipes for 2, 4 or 6 people. Both Sun Basket and Home Chef are known for the high quality of their ingredients and their optimally balanced meals. No matter which one you choose, you are getting wonderfully nutritious meals that are providing your body with all the energy and nutrients it needs. However, Sun Basket does score some extra points in this department, as it uses organic ingredients whenever possible. No one hates small portions more than we do and we are happy to say that Sun Basket and Home Chef are two services that know how much customers value ample portions. Both companies offer portions large enough to satisfy those with greater appetites and in some cases, there may even be some leftovers to enjoy later. Sun Basket and Home Chef offer perfectly flexible subscriptions. Both services allow you to skip a delivery or end your subscription whenever you want, easily and quickly. 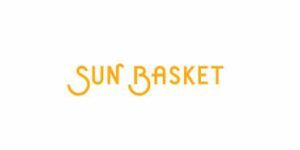 Sun Basket meals come at the price of $10.99 to $12.99 per serving with the Classic menu and $10.99 with the Family menu. Your first delivery comes with free shipping. All subsequent deliveries come with a $6.99 shipping fee. The food you receive from Sun Basket comes with a 100% money-back guarantee. Home Chef meals normally cost $9.95 per serving, unless otherwise indicated. In some cases, the price may be even lower. Add-ons cost $4.95 each. Shipping is free of charge on orders over $45. Orders that cost less than $45 come with a $10 shipping fee.